^ "DHS Gets Green Light". Federal Times. The Border and Maritime Security Division (BMD) is a division of the Science and Technology Directorate of the United States Department of Homeland Security. Within the Homeland Security Advanced Research Projects Agency, BMD develops tools and technologies that improve the security of the United States's land borders and waterways. The Chemical and Biological Defense Division (CBD) is a division of the Science and Technology Directorate of the United States Department of Homeland Security. Within the Homeland Security Advanced Research Projects Agency, CBD develops technologies to increase the United States's preparedness and protect key National infrastructure against chemical, biological, and agricultural threats and disasters through improved threat awareness and advanced surveillance, detection, and protective countermeasures. The Explosives Division (EXD) is a division of the Science and Technology Directorate of the United States Department of Homeland Security. Within the Homeland Security Advanced Research Projects Agency, EXD develops technologies needed to detect, interdict, and lessen the effect of non-nuclear explosives used by terrorists against mass transit, civil aviation, and critical infrastructure. The Human Factors and Behavioral Sciences Division (HFD) is a division of the Science and Technology Directorate of the United States Department of Homeland Security. Within the Homeland Security Advanced Research Projects Agency, HFD applies social and behavioral sciences to improve detection, analysis, and understanding and response to homeland security threats. The Infrastructure Protection and Disaster Management Division (IDD) is a division of the Science and Technology Directorate of the United States Department of Homeland Security. Within the Homeland Security Advanced Research Projects Agency, IDD develops technologies to improve and increase the United States' strategic preparedness response to natural and man-made threats through situational awareness, emergency response capabilities, and critical infrastructure protection. The Office of Health Affairs (OHA) is a component within the United States Department of Homeland Security. OHA provides health and medical expertise in support of the department's mission to prepare for, respond to, and recover from all hazards affecting the nation’s health security. The Office of Health Affairs is led by the Assistant Secretary of Homeland Security for Health Affairs, who is appointed by the President of the United States with confirmation by the United States Senate. The current assistant secretary is Katherine Brinsfield, MD, MPH. The Office of Health Affairs is led by an Assistant Secretary of Homeland Security for Health Affairs, who is the chief medical officer of the Department of Homeland Security. The assistant secretary serves as the principal advisor to the Secretary of Homeland Security on medical and public health issues. OHA leads the department’s workforce health protection and medical support activities. OHA also leads and coordinates the department’s biological and chemical defense programs and provides medical and scientific expertise to support DHS preparedness and response efforts. The Office of Intelligence and Analysis (I&A) is an agency of the United States Department of Homeland Security. Under the direction of the Under Secretary of Homeland Security for Intelligence and Analysis, I&A is responsible for developing DHS-wide intelligence through managing the collection, analysis and fusion of intelligence throughout the entire Department. I&A disseminates intelligence throughout DHS, to the other members of the United States Intelligence Community, and to first responders at the state, local, and tribal level. The Homeland Security Act (HSA) of 2002, (Pub.L. 107–296, 116 Stat. 2135, enacted November 25, 2002) was introduced in the aftermath of the September 11 attacks and subsequent mailings of anthrax spores. The HSA was cosponsored by 118 members of Congress. The act passed the U.S. Senate by one vote, with the pivotal vote in a tied Senate being cast by Independent Dean Barkley. It was signed into law by President George W. Bush in November 2002.HSA created the United States Department of Homeland Security and the new cabinet-level position of Secretary of Homeland Security. It is the largest federal government reorganization since the Department of Defense was created via the National Security Act of 1947 (as amended in 1949). It also includes many of the organizations under which the powers of the USA PATRIOT Act are exercised. The Homeland Security Distinguished Service Medal is a United States military award which is awarded to any member of the Armed Forces of the United States by the United States Department of Homeland Security. The current version of the medal was established in February 2003, retroactive to March 1, 2002. The National Cybersecurity Center (NCC) is not affiliated with the National Cybersecurity and Communications Integration Center (NCCIC), an office within the United States Department of Homeland Security (DHS) created in March 2008, based on the requirements of National Security Presidential Directive 54/Homeland Security Presidential Directive 23 (NSPD-54/HSPD-23), reporting directly to the DHS Secretary.Th NCC is a non profit organization located in Colorado Springs, Colorado. The United States Computer Emergency Readiness Team (US-CERT) is an organization within the Department of Homeland Security’s (DHS) National Protection and Programs Directorate (NPPD). Specifically, US-CERT is a branch of the Office of Cybersecurity and Communications' (CS&C) National Cybersecurity and Communications Integration Center (NCCIC).US-CERT is responsible for analyzing and reducing cyber threats, vulnerabilities, disseminating cyber threat warning information, and coordinating incident response activities.The division brings advanced network and digital media analysis expertise to bear on malicious activity targeting the networks within the United States and abroad. 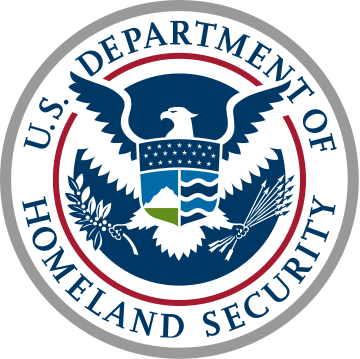 The Deputy Secretary of Homeland Security is the chief operating officer of the United States Department of Homeland Security, with responsibility for managing day-to-day operations. The department has over 208,000 employees and an annual budget of more than $48.5 billion.If the Secretary of Homeland Security dies, resigns, or is otherwise unable to perform the functions and duties of the office, the Deputy Secretary is to serve as an Acting Secretary.The Deputy Secretary is appointed by the President with the advice and consent of the Senate. The position of Deputy Secretary was created along with the creation of the Department of Homeland Security in 2002. The Deputy Secretary is paid $168,000 annually.